Are you looking to protect you new vehicles finish from being eaten away (along with the resale value) by sand and road debris? Thinking that paint protection film, aka a clear bra is the way to go? You are on the right track! Wondering if clear bra / paint protection film really works? You know is it really going to protect the paint??? 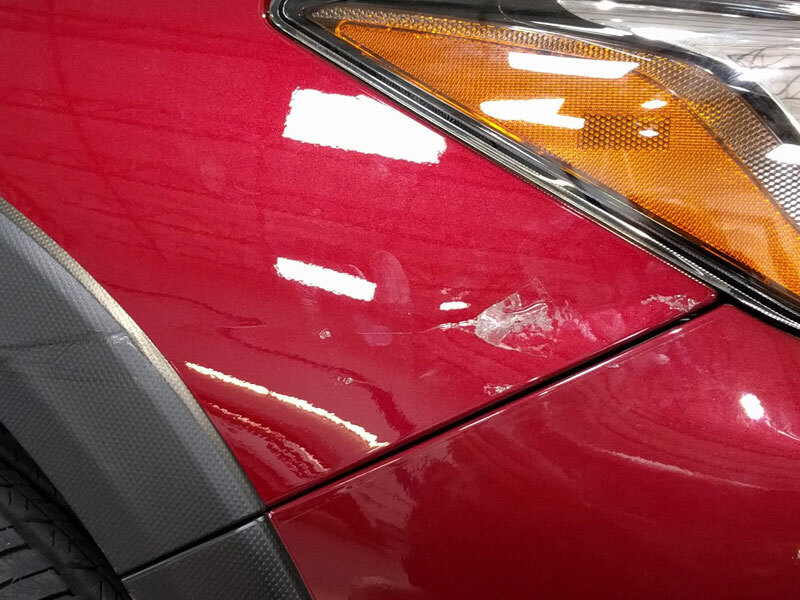 Click / tap the thumbnails below to see for yourself how these vehicles' paint fared after some run ins that would have significantly damaged unprotected paint! 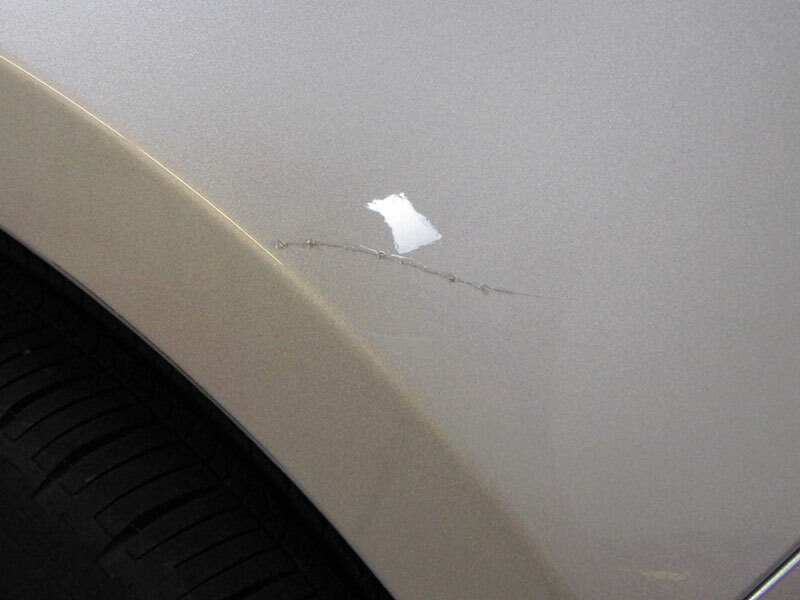 Damaged Honda Odyssey Fender - Modern Armor Paint Protection applied to vehicle prior to accident. 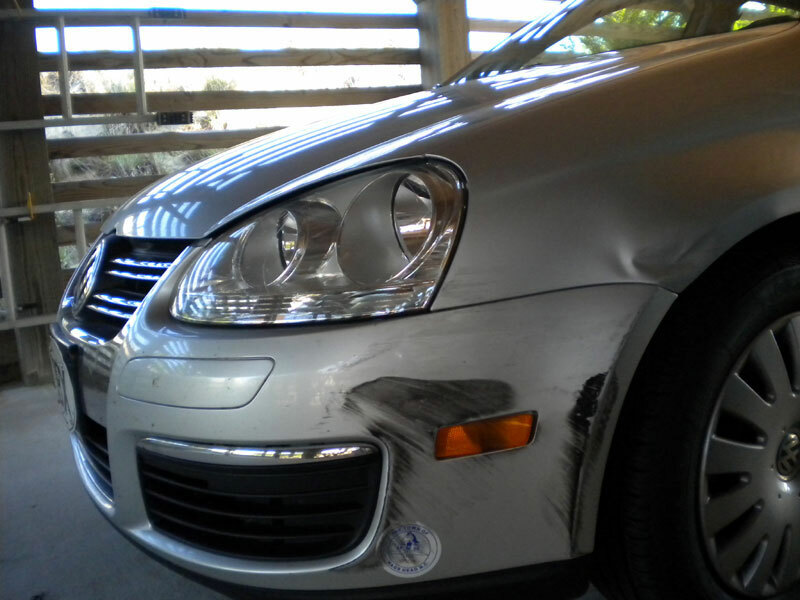 Damaged Volskwagen Jetta - Modern Armor Paint Protection applied to vehicle prior to accident.